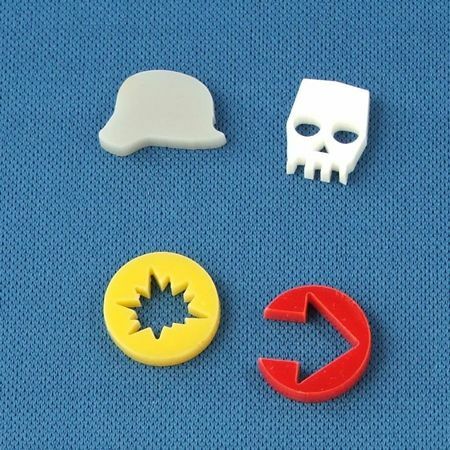 I have some great news about a new set of game tokens for use with the Grunts game. The counters are made from tough 3mm laser-cut acrylic. The set consists of 10x Waxed (Skull), 6x Supressed (Explosion), 5x Prone (Helmet) & 5x Scared Sh*tless AKA Broken (Arrow). They are Available in colour-coded opaque or in your choice of translucent fluorescent colours. The basic set in Opaque are £4 which is an excellent price for 26 game tokens. 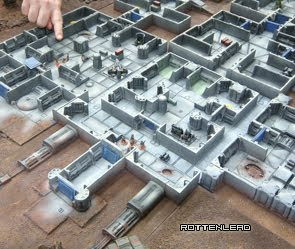 There are limited paper or book keeping requirements whilst playing Grunts but it is important to mark the numbers of "Waxed" or dead models in a unit during a turn, hence the need for the little white skulls. You also need to clearly mark a unit for suppression, broken and the down condition. 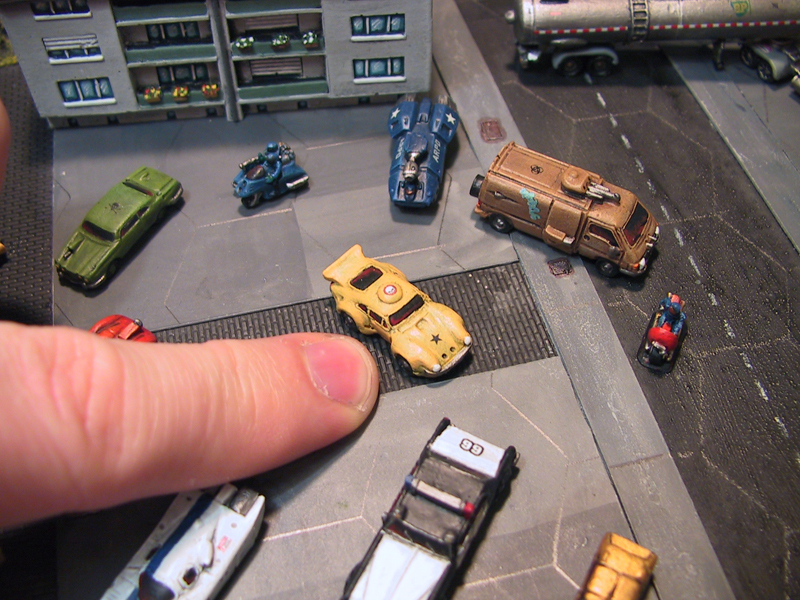 They are of a size that is clear to see on a games table and are a small size, so as not to distract from 15mm scale miniatures. This is our first round of basic Grunts set tokens and future ones will appear for various other conditions in the game. After the weekend I will have some photos and videos of the tokens in use, so you can see the size and how handy they are for use in game. If you are coming to the Warfare show in Reading you will be able to see them in action. They are available now for purchase on the S3 Engineering site from this link. And ordered some too - very nice indeed....... I wonder if I will need more?